Technicians at UBM TechInsights took apart Microsoft's Kinect unit and determined that all of its parts are only worth a little under a third of the retail price. UBM TechInsights is a firm that breaks down electronics into its components and figures out a Bill of Materials or BOM of how much each of those components costs. UBM then writes a detailed "teardown report" and sells that information for a hefty price to tech firms to get a sense of what competitors are up to. It's all standard business practice, but the findings from UBM's teardown report on Kinect is raising a lot of eyebrows. 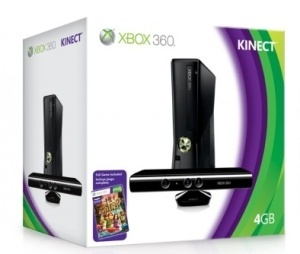 Kinect is on sale in many stores for $149.99 right now, but UBM believes that the chips, cameras and microphones in the unit cost a grand total of $56. For those of you wondering and are too lazy to subtract on your own, that's a profit of $93.99 for every Kinect that's sold. Allan Yogasingam from UBM did praise the technology of the Kinect, especially the components provided by Isreali chipmaker PrimeSense, from which $17 of the $56 is attributed. "Basically, the strength of the design is the huge design win for the Israeli fabless company PrimeSense," he said. "They've provided the most innovative portion of the Kinect with their image processor, audio and video interface." The report also noted that Kinect has far-reaching applications. "The future applications of this technology could be fascinating," Yogasingam said. "I can see this being incorporated into televisions - allowing users to chang the channel by waving their hand, essentially replacing the remote control." It's worth noting that the $149.99 price tag also goes towards developing the technology and manufacturing it, not to mention the $400 million that Microsoft spent on marketing the launch. Still, if Microsoft is actually making 90 bucks on every Kinect unit sold, that's just silly. Hasn't anyone in Redmond heard of the concept of a loss leader? Well, I guess you get Kinect Adventures! bundled with it too. Yay! That's totally worth the 90 bones. Nevermind. My bad.